The busiest week for earnings so far this quarter delivered several positive surprises, as the broader U.S. market averages finished off the best January performance in three decades. Industrial and Energy stocks were the big winners for the month, led by an 18% gain in the underlying price of crude oil. On the other hand, Utility and Healthcare names have lagged in the opening weeks of 2019. There was little belief that Chairman Powell and the Fed would change interest rates on Wednesday, but the tone of their commentary did turn decidedly more dovish this week. The FOMC noted that the case for higher rates “has weakened” and that it will be more “patient” before declaring its next move. Following the shift in sentiment, Fed funds futures are now pricing in a 20% chance of an interest rate cut in 2019, while showing zero probability of an increase. The January jobs report on Friday came in well ahead of expectations for a second straight month, suggesting the temporary Government shutdown had no material effect on overall economic growth. Even with a downward revision to December’s blowout report, strong jobs data and lower interest rates support the bullish move by stocks in the early weeks of 2019. On the earnings front, Facebook (FB) was the big winner this week, gaining 10% in the first trading session after delivering better-than-expected quarterly results. On the other hand, Nvidia (NVDA) fell 13% the day after disappointing investors with its forward guidance. With the U.S. Government back in business for the time being, more focus was placed on continuing trade discussions with China. A Chinese delegation in Washington D.C. announced on Thursday the country will purchase 5 million tons of soybeans a day from the U.S. Following the announcement, President Trump said that he plans to meet with President Xi at least once before March 1, when U.S. tariffs on $200 billion of Chinese goods are expected to increase from 10% to 25%. The thawing relations would likely be welcome news to U.S. businesses and investors alike. Two of the more disappointing quarterly reports this week, from Caterpillar (CAT) and Nvidia, both cited China as a cause. U.S. stocks have started 2019 have a bang, but Tupperware Brands (TUP) is one dividend payer that disappointed investors this week. The stock lost 27% on Wednesday, after management said the company couldn’t sustain its 10% dividend yield and slashed the quarterly payout by 60%. It’s easy to be tempted by a double-digit dividend yield, especially with a lower interest rate outlook from the Fed. However it’s important for investors to remember that whether stocks are up or down, the market always places a premium on growth. A stable dividend of 5% or more is nice, but what investors really need to build wealth over time, is a dividend that management continues to raise year in and year out. It may sound too good to be true, because growth investors and income investors don’t usually see eye to eye. Income seekers want the security of 5%-plus annual dividend yields, while growth hounds think that cash should be reinvested back into the business– because a solid earnings report from Facebook this week from can send a stock up more than 10% in one day. We’re here to tell you it’s possible to have the best of both investing worlds, and my colleague Brett Owens can show you how, with his simple (and safe) way to earn 12% a year from stocks with “hidden yields”. At that rate, your money will double every six years, plus you can triple the retirement income that most dividend aristocrats or “safe” fixed income investments currently offer. How do we accomplish this? Brett has discovered a key relationship between dividends and price gains that allow investors to find both growth and income in “hidden yields”. Companies that consistently grow their dividends over time tend to outperform. The trick is the best dividend stocks almost never show high yields, because stock gains tends to track the size of dividend increases. If a company increases its dividend by 10% and the higher yield brings new buyers in, it often will send the price up and the yield back down toward where it started. 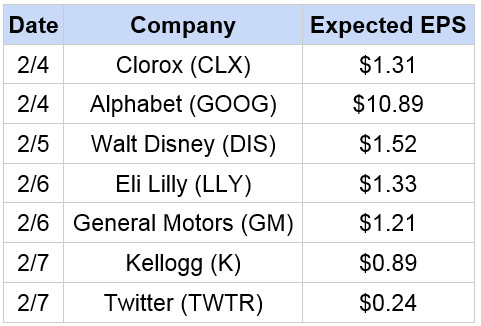 These companies provide a solid dividend today, with the potential to keep growing that payout over the next several years—regardless of the interest rate agenda of Chairman Powell and the FOMC. It’s easy to fixate on a stock’s dividend history or its current yield, but the real value lies in how much that payout can grow in the future. What starts out as a 2%, 3% or 4% yield today grows each time a company raises its dividends. You could easily end up earning 10% or even 20% a year just from rising dividends … because your original amount of invested money never changes! Click here for Brett’s simple, three-step process how to earn 12% every year with these 7 “hidden yields” stocks. previousWill We Be Able To Fight The Next Recession?